The War on Drugs is an indie rock band from Philadelphia, formed in 2005, known for their melodious meshing of many forms of indie rock. With sounds from deep in the American heartland, to novo-psychedelia to new wavy shoe-gazing, these guys are in touch with their roots. 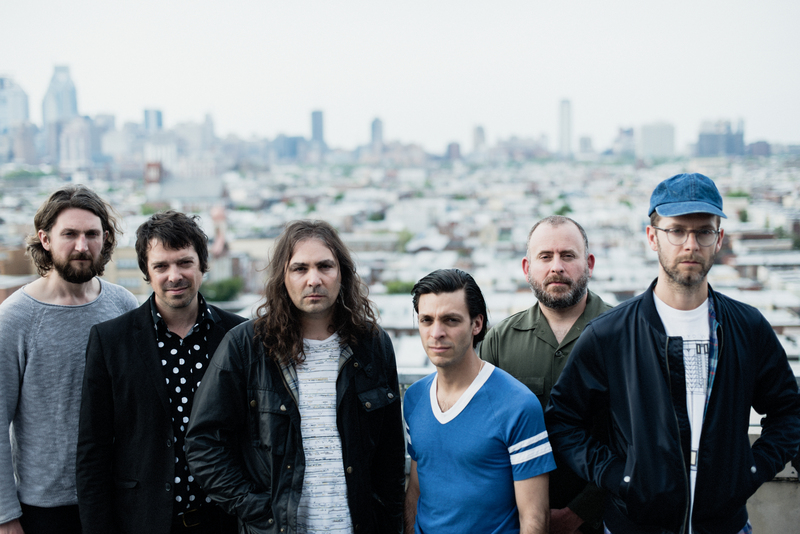 The band consists of Adam Granduciel (vocals, guitar), David Hartley (bass), Robbie Bennett (keyboards), Charlie Hall (drums), Jon Natchez (saxophone, keyboards) and Anthony LaMarca (guitar). The War on Drugs released their debut studio album, Wagonwheel Blues, in 2008. The band’s second studio album Slave Ambient was released in 2011 to favorable reviews and extensive touring. Written and recorded following elongated touring period, the band’s third album, Lost in the Dream, was released in 2014 to widespread critical acclaim and increased exposure. Previous collaborator Charlie Hall joined the band as its full-time drummer during the recording process, with saxophonist Jon Natchez and additional guitarist Anthony LaMarca accompanying the band for its world tour.